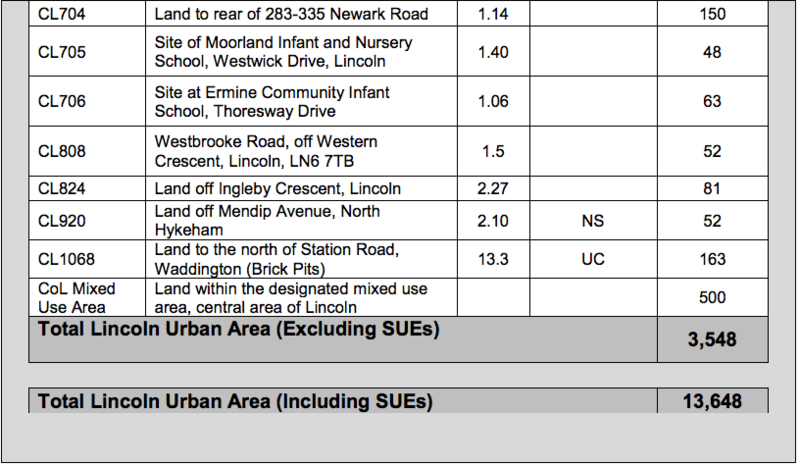 Lincoln areas highlighted for growth in the Draft Local Plan for Central Lincolnshire. As the next consultation phase of the Central Lincolnshire Local Plan gears up for approval, sites allocated for thousands of new homes in Lincoln and the surrounding districts have been revealed. As previously reported, the plan which guides housing, jobs and amenities between 2012 and 2036, is largely focussed on meeting the housing needs of the growing community in the City of Lincoln, North Kesteven and West Lindsey. A target for 36,960 new homes and infrastructure surrounding Lincoln, Gainsborough and Sleaford by 2036 has been outlined in the plan, with delivery ambitions of 1,540 homes per year. Documents go before the Central Lincolnshire Joint Strategic Planning Committee on September 7, followed by a six-week consultation with dates to be announced. Also included is a plan for infrastructure requirements, economic targets and employment sites. 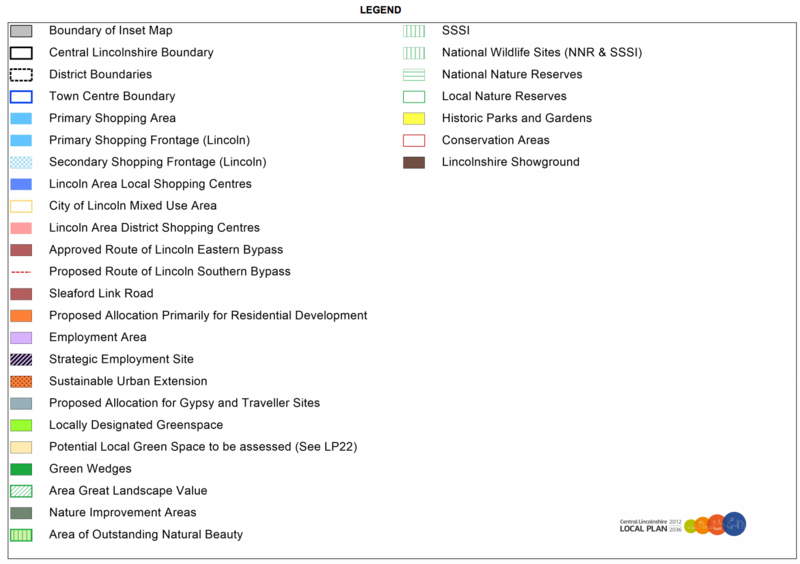 In Lincoln, the plan outlines an additional 23,654 homes – 64% of the total homes and employment land needed through a strategy of urban regeneration, sustainable urban extensions (SUEs) and growth in surrounding settlements. Some 9,085 homes have already been built, or are being constructed, since 2012, with sites across Central Lincolnshire allocated for the remaining 28,000. 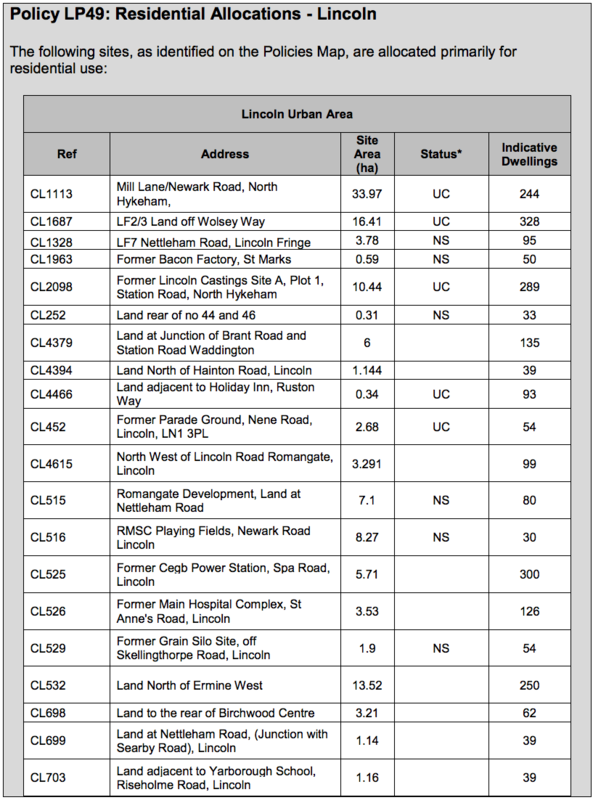 Just over 13,600 homes in Lincoln have been allocated for residential development. * Status at 1 April 2015. UC = Under Construction. NS = With consent, but Not Started. Find out more about the plans for homes, economic growth and supporting infrastructure, click here. Supporting maps for each indicated area in the Draft Local plan can be found here. Maps Legend. Click to expand.